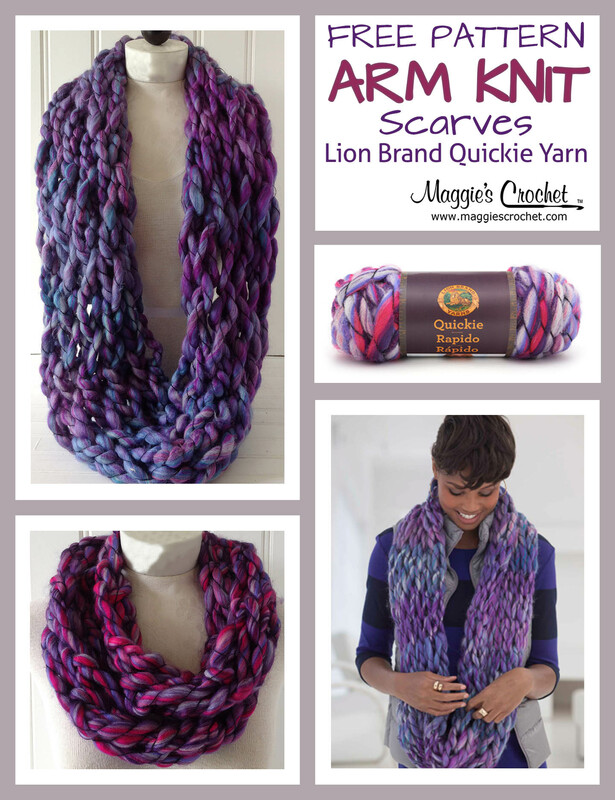 Arm Knitting is one of the fastest ways to create a beautiful scarf or cowl. 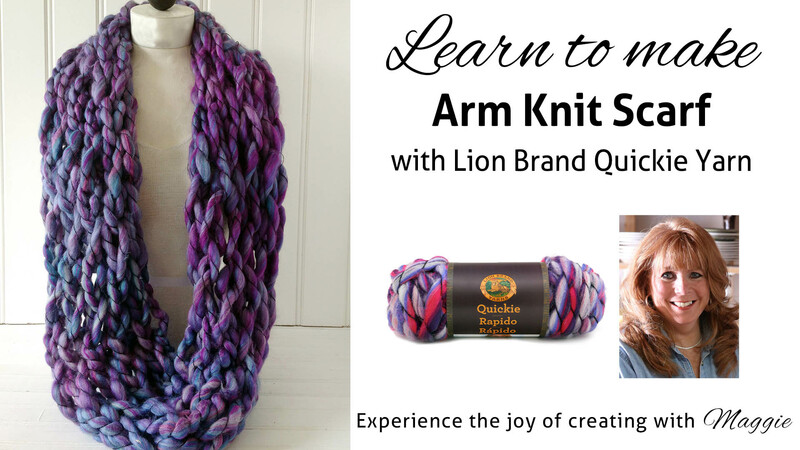 Quickie yarn from Lion Brand was created specifically with arm knitting in mind. It’s a #6 Super Bulky Weight yarn, made of 74% Acrylic, 22% Wool, and 4% other materials – a blend that will be warm and cozy on even the coolest nights. 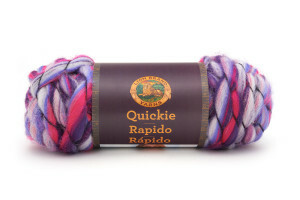 Quickie is available in seven variegated colors. 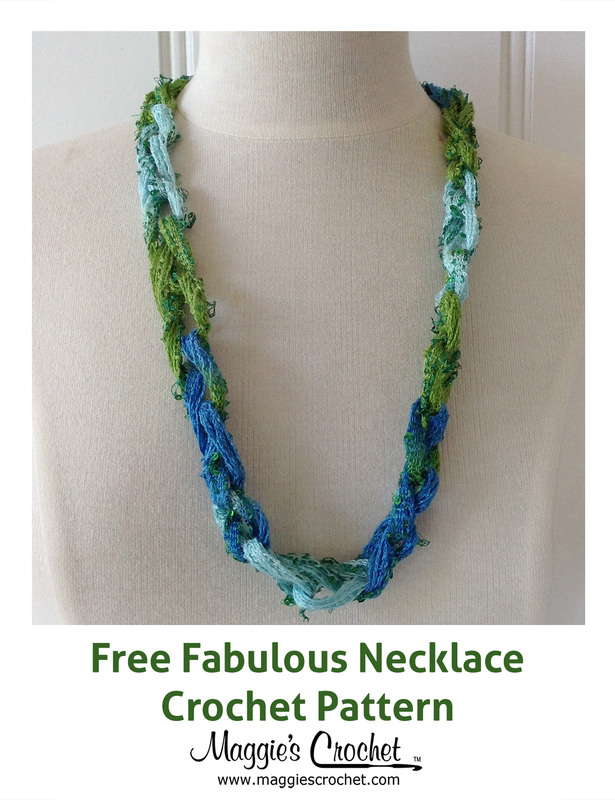 Click the photo to shop Quickie yarn. 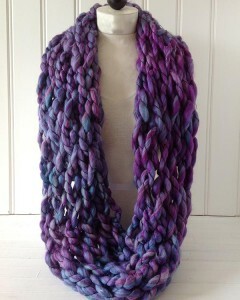 One skein of Quickie yarn is enough to make a skinny cowl that can be worn long or wrapped around for extra warmth. 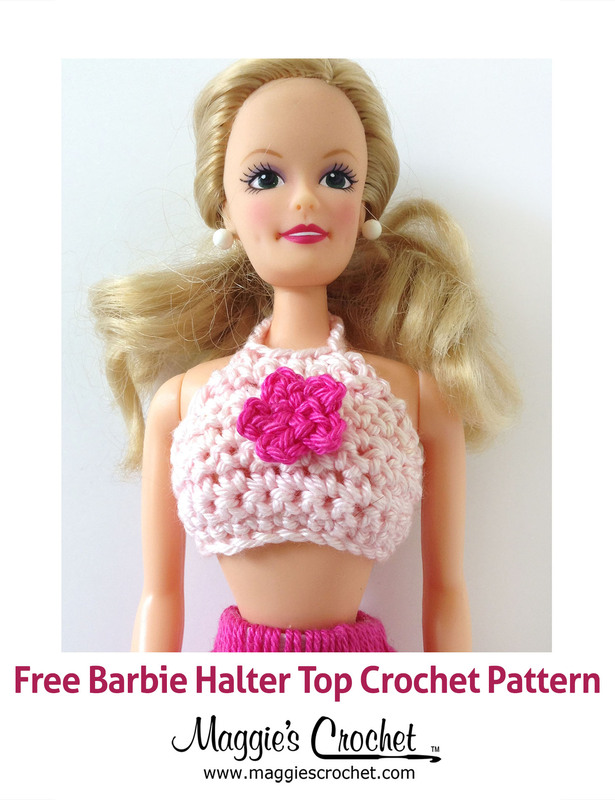 Click either photo for the 1 skein pattern. 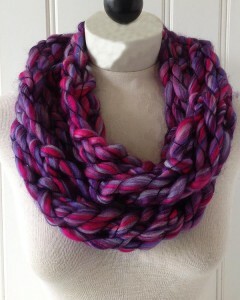 In the tutorial video, we used 3 skeins to create a much wider cowl. Click either photo for the 3 skein pattern. You’ll need two skeins of Quickie yarn. Arm knit until about 36 in. (91.5 cm) of yarn remains. Bind off. Hold the ends of the piece together and with your fingers weave yarn tail in and out through the ends to join them. Then weave yarn tail through stitches to hide the tail. 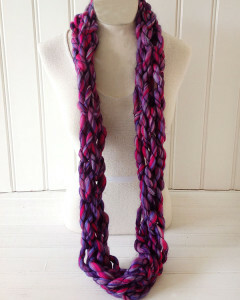 question for you… I watched the video… arm knitting an infinity scarf. I understand the skinny scarf… 1 ball neededcast on 4 stitches. 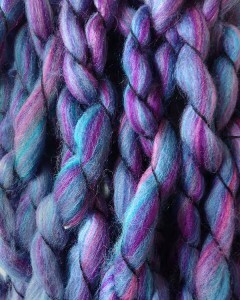 But for the 2 balls you cast on 8 stitches for a medium scarf, or 3 ball you cast on 12 stitches for the larger scarf. My question is you do not show how you add the next ball and continnue to knit.